My name is Cami. 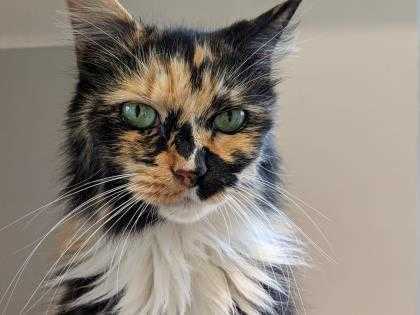 I'm a beautiful adult female who loves climbing and observing my world from high places. I'm kind of shy at first, but once i get to know you i will open up. My fur is described as silky, soft, and beautiful. I'm currently waiting for my human at the Jacksonville Humane Society. Looking for my forever home. Please come by and visit me. I'd love to meet you: 8464 Beach Blvd.